Laythrom Media will be producing a non-profit educational video concerning teenage drinking and DUIs. This video will be donated to MADD, SADD, and hundreds of school districts across the United States. We are profound activists in attempting to curb teenage drinking and drinking and driving. With your help, we can finish production of this video (scheduled for May 11th, 2013) and distribute it across the US, reaching thousands of teens and young adults everywhere. Without your support and the support of others, this video may not be able to reach as many people as we wish. We are collecting donations for the up and coming DUI video titled “With a Turn of the Key”. Any and all donations will help us with any costs that we will have to keep up with during production; this can include emergency vehicle use, special effects makeup, road closing equipment rental, mobile flood light (usually called ‘light-alls’) rental, or water for cast and crew. Every donation counts, no matter how big or how small! Any monies from donations that are not used for production will be donated to both the MADD and SADD Organizations; the names of every person who donates will be included in the shipment to those organizations. Also, people who donate will be listed on our page as well as in credit at the conclusion of the DUI video. If you have any questions or concerns, please fill out the form below. The Trumbull County Commissioners approved our proposal to film the DUI video in Brookfield Twp in the near future. We will now carry out further pre-production processes in order to “get the show on the road”. For those who are unaware of the project you can read about it HERE. We now have the interesting quest of finding volunteers, emergency services and vehicles for this project. We will keep everyone updated as things progress. Thank you to the Trumbull County Commissioners for helping this happen! 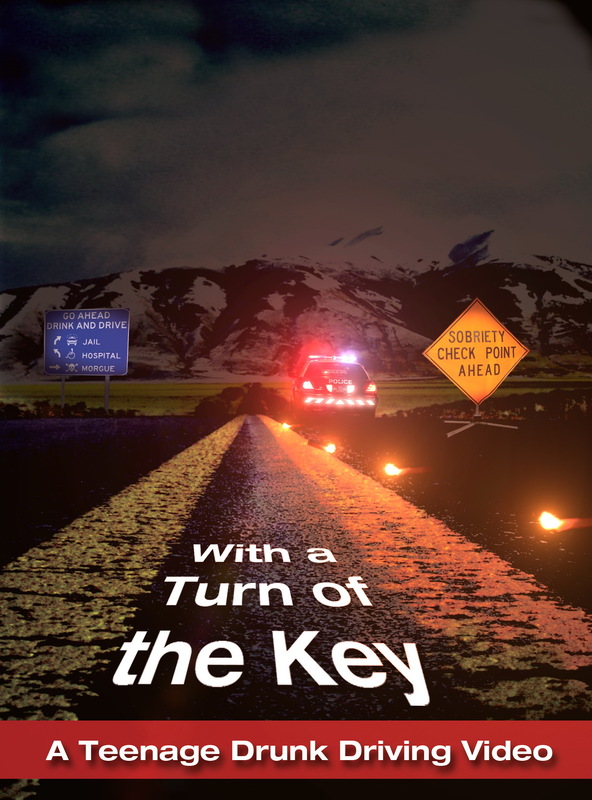 “With a Turn of the Key” will be an educational video (approximately 5 minutes in length) aimed towards young drivers in the war against drunk driving. It will be distributed to MADD, SADD, and approximately 100 different school systems throughout the US. It will also be available (via download) for any school system and educational program free of charge. We are looking for Talented people to help with the development of a fan game based on AMC’s TV Show & Comic Series “The Walking Dead”. We have decided to take on this project because we were somewhat displeased on what we have seen in The Walking Dead: Survival Instinct. The game will be an action role-playing, open world video game with an interactive variable storyline; where the player has to make certain decisions and those decisions reflect different outcomes (similar to Fallout 3/New Vegas). We will be releasing this as an internet release ‘fan game’ and (unless it was picked up by a game development company) will be free for download. Being this, we are looking for volunteers for this project and volunteers will get credit but not monetary compensation. Since there is a possibility (even though it may be slight) that the game concept could get picked up by a separate game development company, all volunteers will be contracted to make sure that if any moneys are paid for the intellectual property/creative copyright, all volunteers will be compensated. The design and development will be through FTP transfers and video conferencing (aka working from home). If anyone is interested in helping us with this project, fill out the form below. We are not affiliated with Image Comics or AMC/AMC Networks. Even though we technically can’t spend the next four hours discussing all of the different cameras and camera platforms that can be used by the indie filmmaker, we will layout some different types and some of the different platforms that we use. DSLRs are great for those who wish to get into both photography and video. I would consider them nice entry platforms (IMO) since they can be picked up online, in departments stores and in camera shops (at okay prices). They do have some issues (on the video side) in lieu of low light conditions and rolling shutter, but with the filmmaker’s creative talents, these can be counteracted. There are many different cameras out there, but these are the ones that we use. Canon T3i: Definitely a nice camera to start off, the package runs approximately $700 and has the capability of shooting 18 MP (photo) and HD 1080 (video). Nikon D3100: Also not a bad camera, runs about $650 and shoots 14.4 MP (photo) and HD 1080 (video). Canon T4i: A little bit more in price at $900, the T4i is a cropped DSLR rated at 18 MP for photo and shoots both HD 720 (60 fps) & 1080 (24 & 30 fps) for video. When we get into Pro Video, we usually deal with Sony and Panasonic cameras; but the Black Magic camera is by far our favorite. Keep in mind that these cameras are not cheap and are hell if you get them wet or drop em. Panasonic AG-AC90: We typically use this camera for some actions shots and slowing time down (since we can over crank the 1080p footage to 60 fps) and later emulate 120 fps in post. It also has dual XLR inputs for good audio input without using a converter box. Sony NEX-EA50UH: This is used primarily for ‘studio’ shoots or interviews since it is a bit larger than the typical ProCam and seems to have a more balanced weight (of a little over 3 pounds). It also has dual XLR inputs for running boom mics or lapels (if you are not running separate audio). It also has the ability to output timecodes from video. Sony PMW-200 XDCAM: Not a bad camera, has the ability for timecode input and output, and features 3 x 1/2″ CMOS sensors. However due to a lack of XLR inputs and a slight weight problem (close to 6 pounds), this camera is usually kept on a jib, dolly or tripod. Another big downside to this camera is that it require SXs cards for capturing video (and they are not cheap). Panasonic AG-HMC150: Aside from our GoPro cameras, this camera is usually abused and films a lot of our ‘action’ shots and sequences. It’s a stable, decent sized and a good quality camera. It features 3 x 1/3″ CCD sensors and a Leica Lens, films up to 60 fps @ 1080, and shoots rather well in lower light conditions (advertised at 3 Lux). It also features XLR inputs and records to SDHC cards. Blackmagic Design Cinema Camera: By far, one of my favorite camera systems yet (aside from the uber-expensive RED platform). It features a 12 bit/2.5k RAW resolution possibility, EF lens mount, 5″ touchscreen monitor, 13 stops of Dynamic Range and the easy ability to enter Metadata directly to the footage in camera. It records to any 2.5″ Solid State Hard Drive instead of special cards (like the Sony PMW-200). Downsides: no XLR inputs and only 1/4″ analog audio inputs. GoPro Hero 3 Black Edition: Mountable to almost anything and everything! Although these are technically able to film up to 4k resolution, we have never pushed past 1080 (for the moment), so we can’t really comment on their 4k and 2.7k capabilities. They’re robust, compact and waterproof (in the waterproof casing); we love the built in WIFI feature and constantly use our iPhones (via the GoPro App) to set up the shots and start recording. Definitely worth spending $400.